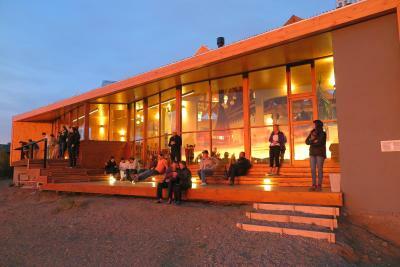 Lock in a great price for America Del Sur Calafate Hostel – rated 8.9 by recent guests! 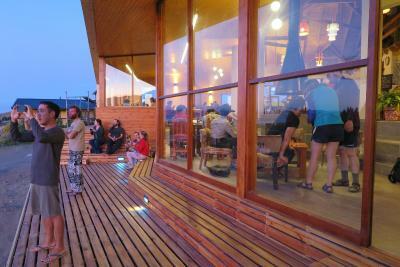 Fun place, with cool communal area. They do a bbq in the evening and it was pretty cool. 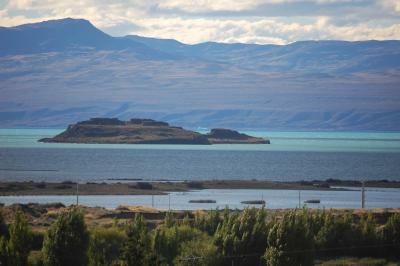 Amazing staff, the rooms are confortable to just sleep\shower, good breakfast, excellent view. Lovely back patio to watch the sunset. Lots of seating in common areas. Decent live music each night. The lobby has a nice view. Staff are quite helpful overall. The room is clean. The atmosphere is great, good vibes and food offered to buy is nice. The staff was very responsive to our emails before our arrival and set up tours for us. The room was clean but very small for four people. The lobby area was nice and the view is great. It was an easy walk into town. The views are amazing, the staff very friendly and helpful, a very friendly place to stay. 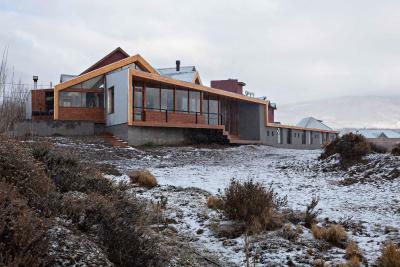 One of our best sellers in El Calafate! 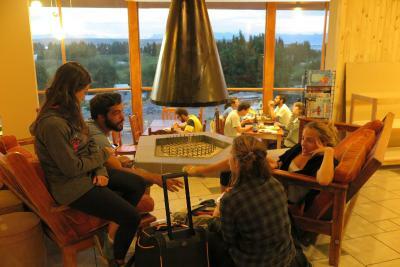 With scenic views of Calafate´s mountains and lake, this hostel is a 7-minute walk from downtown Calafate. 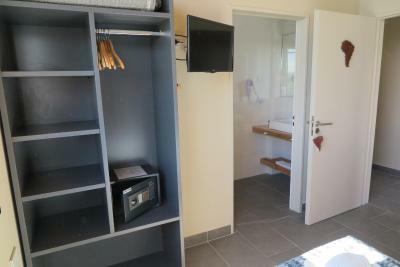 It features accommodations with floor heating, free Wi-Fi, communal kitchen and launderette. 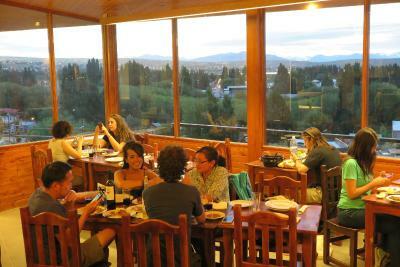 At America del Sur Hostel, all rooms and dormitories have beautiful views of the valley and mountains beyond. They offer private bathrooms, lockers and heating. 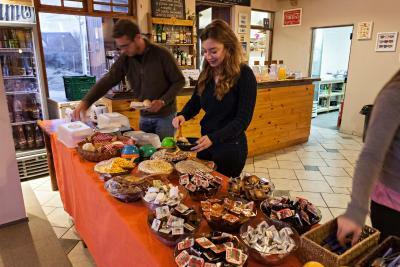 In a nice area with ample windows and high ceilings, guests enjoy a daily continental breakfast with regional items. For additional convenience, America del Sur´s front desk is open 24 hours. 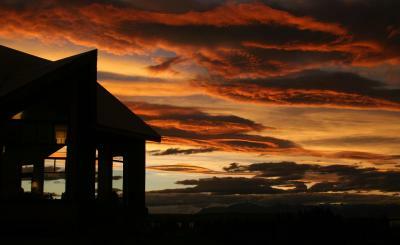 America del Sur Hostel Calafate is located 14 mi from the airport and 50 mi from the beautiful Perito Moreno Glacier. Free parking is provided on site. 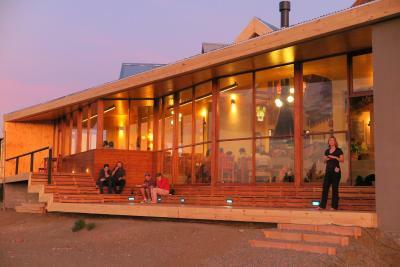 When would you like to stay at America Del Sur Calafate Hostel? 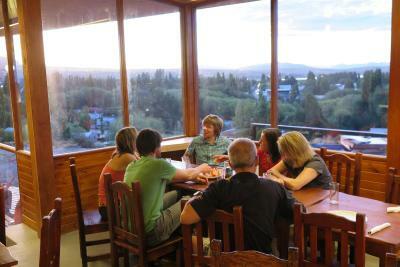 A comfortable room with wood furnishings, heating, a shared bathroom and views of the hills. 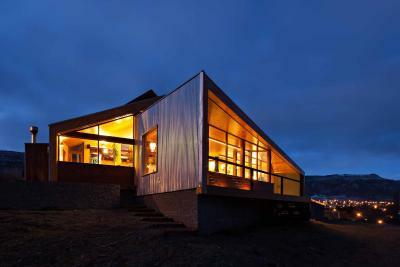 A comfortable room with wood furnishings, heating, a private bathroom and views of the hills. 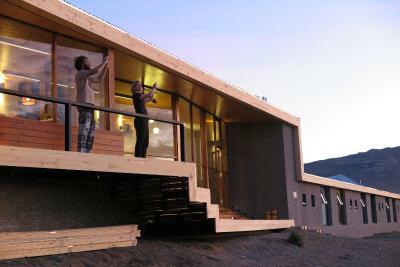 This room features a private bathroom and views of the mountain. 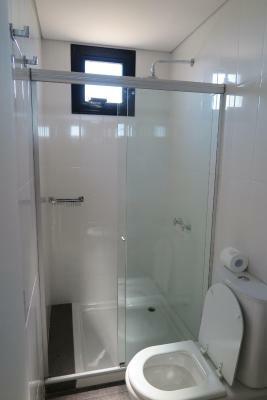 This room features shared bathroom facilities and mountain views. This room features a private bathroom, a closet and heating. House Rules America Del Sur Calafate Hostel takes special requests – add in the next step! 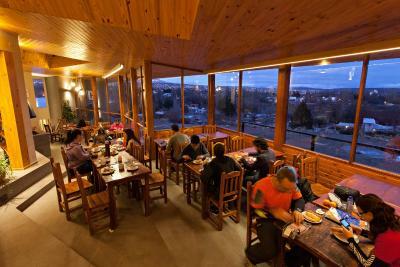 America Del Sur Calafate Hostel accepts these cards and reserves the right to temporarily hold an amount prior to arrival. No locking system on the doors to the dorm rooms. First day our bathroom jammed, water flowed into the room, someone had thrown my sweater and camera bag on the floor, it all got wet. The music in the common place is nice, drowns out the howling wind outside, but I felt it was too loud to hear eachother. Cold at day time in the rooms. Too hot in the middle of the nights. Raw eggs are served among other breakfast items, you can fry, scramble, boil as you like in the kitchen next to the common space. Common space is huge. Nice view from there. Charging points for mobile devices. Restaurant food was very good. Super helpful staff. Great place for booking tours. 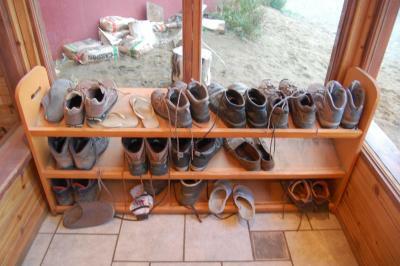 The kitchen was pretty dirty and a bit unorganized... but it does not affect much. 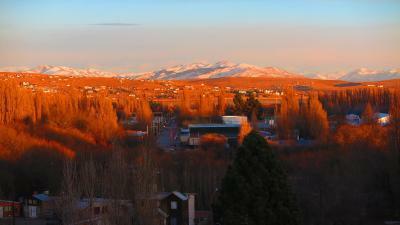 The location can be a bit outside of the town. 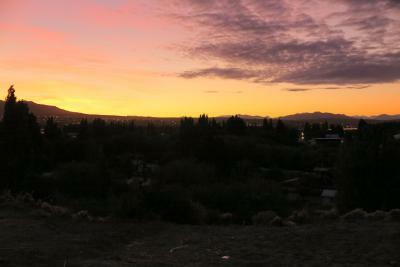 However, walking to the town was not too bad. 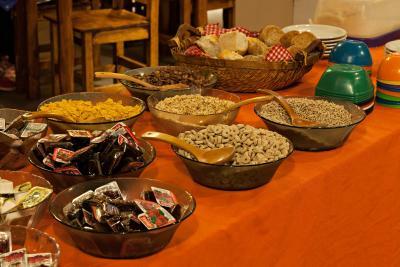 I especially like the property has breakfast that was provided super early. Even when I walked out at 530 to catch the 6am bus, I see breakfast on the table. I thought this is super considerate for travelers who need to travel early. The hostel is also super convenient for booking any shuttle or any tour. They literally can make all the calls for you. The kitchen also provides a lunch box. The options were good. Very very convenient. The best hostel I have ever stayed in and I've been doing this for many years. Jess booked all my trips and cross referenced them with the weather forecast. Subsequently I was basking in sunshine in el chaten, horse riding and mini trekking on perrito morreno glacier whilst others were returning to hostel like drowned rats. 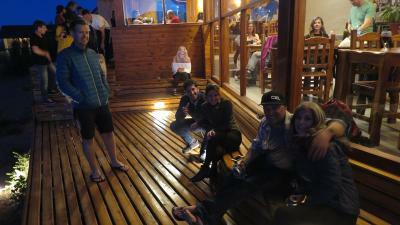 Nahuel did a fine job of welcoming everyone and running the bar effortlessly. But the biggest shout out must go to Chacho (Matias) and Norma in the kitchens who kept this vegetarian very happy indeed and even invited me into the kitchen and let me watch how they cooked my cheese! (Delicious). Whoever owns this hostel I hope you give your staff a big bonus. They are a wonderful team with no weak links. Thank you. The one key per room system. 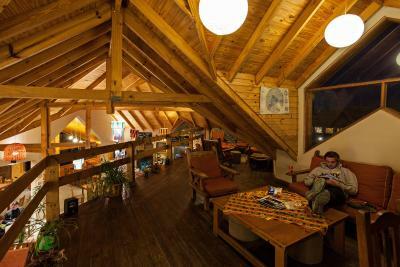 This hostel was amazing. 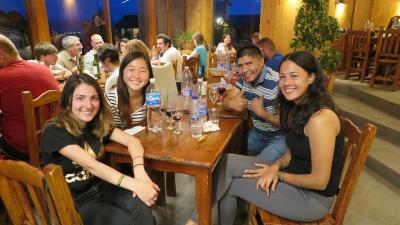 The staff are so helpful, with booking tours and generally just being welcoming to everybody. 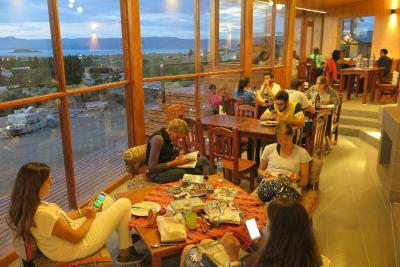 The view from the communal area is great, and the WiFi works really well as well. Very close to the centre of town, so won’t hesitate to book here again! My room was very small and hot. There was no water coming out in the bathroom in the morning when we got up and wanted to wash. When we reported it to the reception, one of the staff bluntly replied: "I know it." That's it. Communication with the English language was available, unlike other accommodations. Location is up the hill but perfectly fine. Hostel staff could have provided more information when assisting with booking buses, tours etc. One key to be kept at the reception is a bit annoying. Nice place with good vibes. Great to have personal light and power point at bed. Breakfast was great.